Throughout the year, our employees bring our plans to life. Their successes contribute to a better PG&E and, as a result, a better California. Their work is critical—from working on fundamentals like maintaining and improving our gas and electric infrastructure to working around the clock to restore power after a storm. 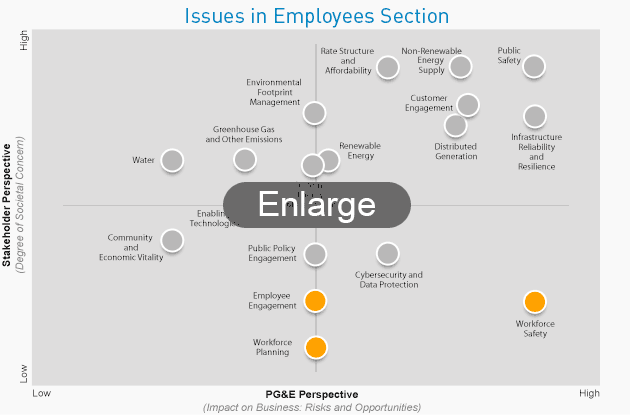 To build and sustain the workforce PG&E needs to thrive in the long term, we are working on many fronts to ensure our employees are engaged in our success, represent a diversity of perspectives, are safe and healthy, and are continually building their skills to prepare for the challenges ahead. 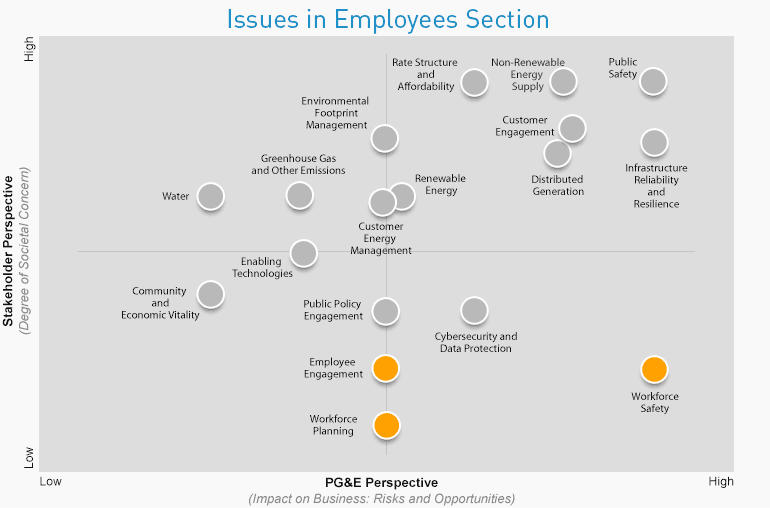 Achieved record participation in our biennial employee engagement survey, underscoring our progress in creating a culture where employees feel comfortable speaking up and bringing issues forward. Exceeded our goal for employee volunteerism, with employees logging 75,000 hours serving our communities by building homes and playgrounds, cleaning state parks and mentoring students. Developed Leading Forward, a program designed to grow leaders at every level and support our goal of filling 75 percent of leadership vacancies from within. Engaged nearly 5,000 employees, or about 20 percent of our workforce, in our Employee Resource Groups, which foster career development, leadership and a culture of inclusion. Continued to see a reduction in medical cost trends for PG&E with our health care plan, which focuses on preventive care and wellness.